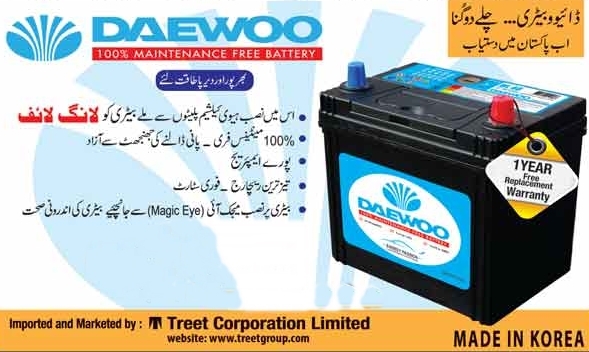 Treet Group of Companies introduced 100 % maintenance free battery in Pakistan. 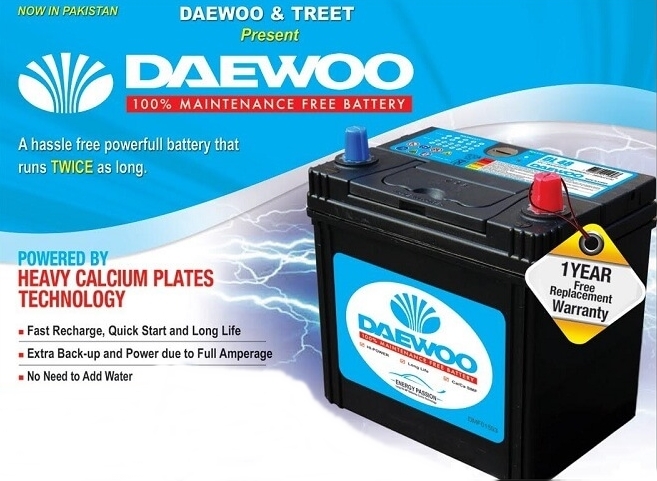 Daewoo battery is a powerful battery which runs more because this battery build with Heavy Calcium Plates Technology. 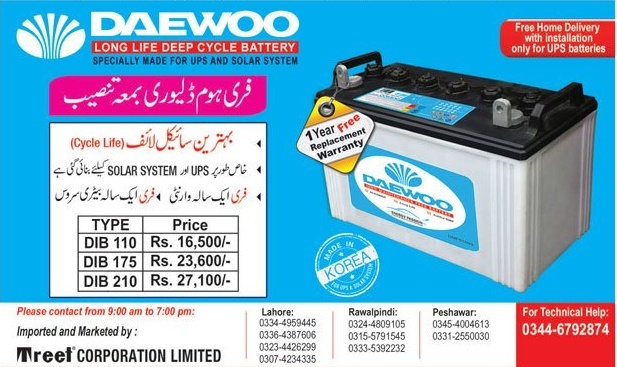 Initially they launched only two models 175 Ampere & 210 Ampere both batteries come with 1 year free replacement warranty.